Devin Lee from Clinton (N.Y.). JP Basile from Garden City. Will Ramos from Nyack (N.Y.). Ryan Archer. Photo by Casey Vock. 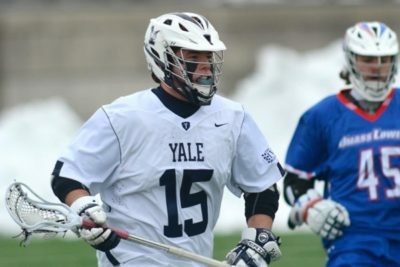 Lucas Quinn from Niskayuna (N.Y.). 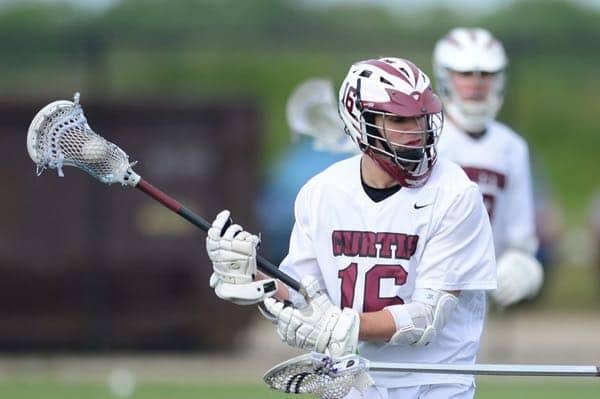 Curtis' Tyler Robertson is among New York's leading scorers. Nick Galasso from West Islip (N.Y.). 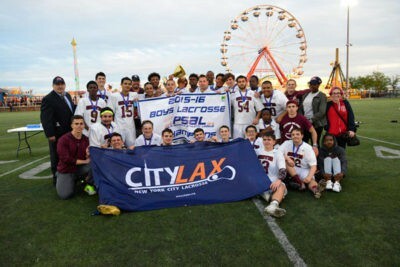 Curtis won the PSAL championship in 2016. Lyle Thompson (right) was a Warrior 40 selection in 2010. 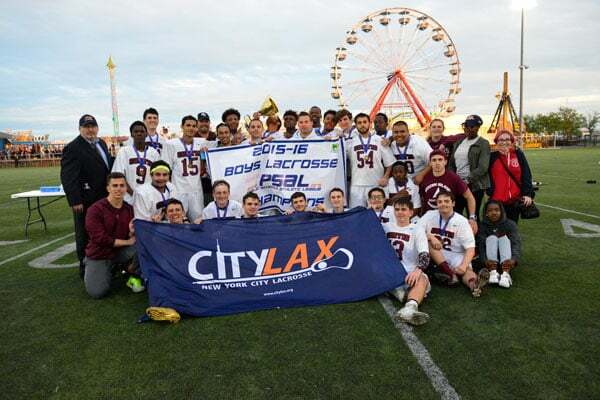 Included on this page are the best reported and best known New York boys' high school lacrosse records. 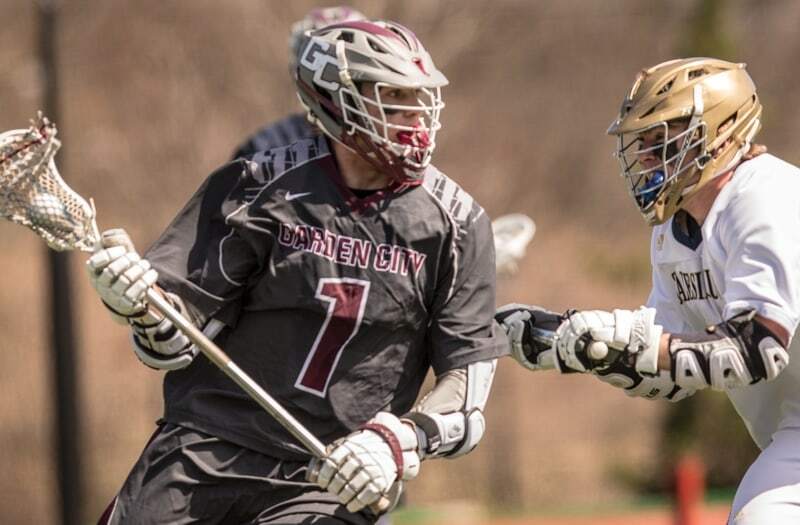 Included here are the players with the most known goals, assists, points and saves in New York high school boys' lacrosse history. You will also find all-time coaching wins, team consecutive wins, and state championship information. There could be players missing from this list, but they will be added as discovered. 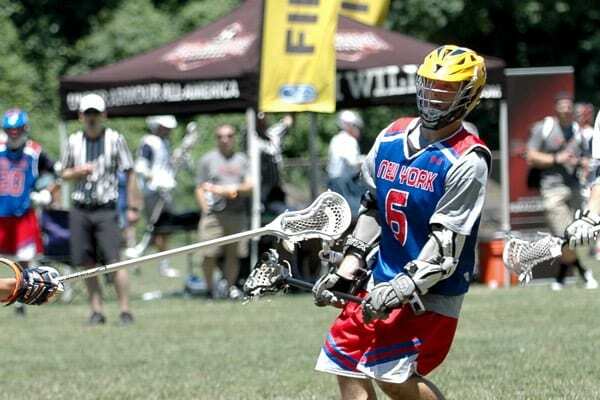 Some of the records on this page were compiled with the help of the Nassau County Lacrosse Coaches Association. 184 Greg Miller Corning East 1981 113 #DIV/0! 181 Jim Zaffuto Elmont 1977 80 101 #DIV/0! 180 Jordan Evans Sr. Jamesville-DeWitt 2013 82 100 #DIV/0! 179 Zach Williams Jr. Silver Creek 2010 105 #DIV/0! 175 Andrew Whipple Irondequoit 1993 99 76 #DIV/0! 174 Zed Williams Fr. Silver Creek 2010 101 73 #DIV/0! 172 Zed Williams Sr. Silver Creek 2013 95 77 #DIV/0! 172 Rickey Morabito Chenango Falls 2006 #DIV/0! 172 Liam Banks Ward Melville 1998 104 #DIV/0! 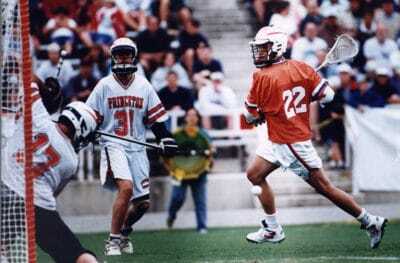 169 Casey Powell Sr. Carthage 1994 92 77 #DIV/0! 162 Tim Nelson Yorktown 1981 106 #DIV/0! 160 Bob Boniello Levittown Division 1976 71 89 #DIV/0! 160 Rickey Mirabito Sr. Chenango Forks 2006 73 87 #DIV/0! 157 Matt Danowski Farmingdale 2003 84 73 #DIV/0! 155 Connor Fields Bishop Timon-St. Jude 2013 129 26 #DIV/0! 155 Zed Williams So. Silver Creek 2011 99 56 #DIV/0! 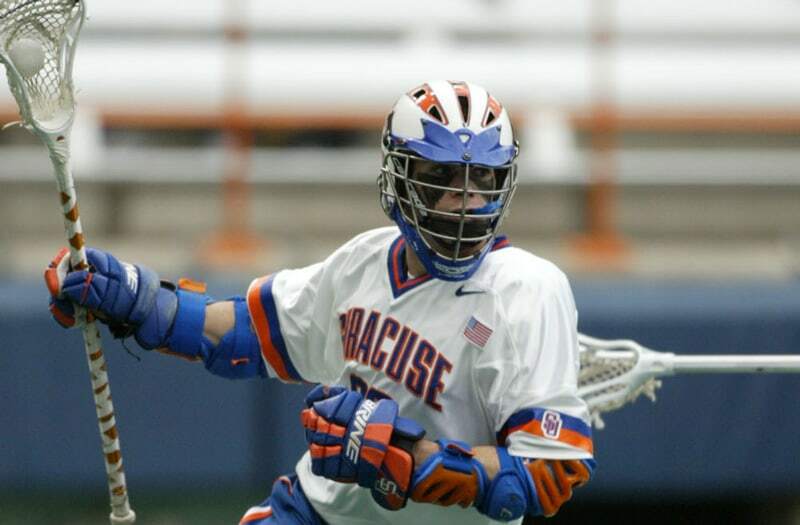 153 Casey Powell Jr. Carthage 1993 79 74 #DIV/0! 150 Tom Nelson Yorktown 1983 109 #DIV/0! 150 Tom Nelson Yorktown 1982 106 #DIV/0! 149 Nicky Trizano Iona Prep 2009 #DIV/0! 147 Ryan Archer Sr. Jamesville-DeWitt 2017 71 76 #DIV/0! 147 Josh Coffman Carthage 1998 86 61 #DIV/0! 143 Nelson Logan Sr. Akron 2018 44 99 #DIV/0! 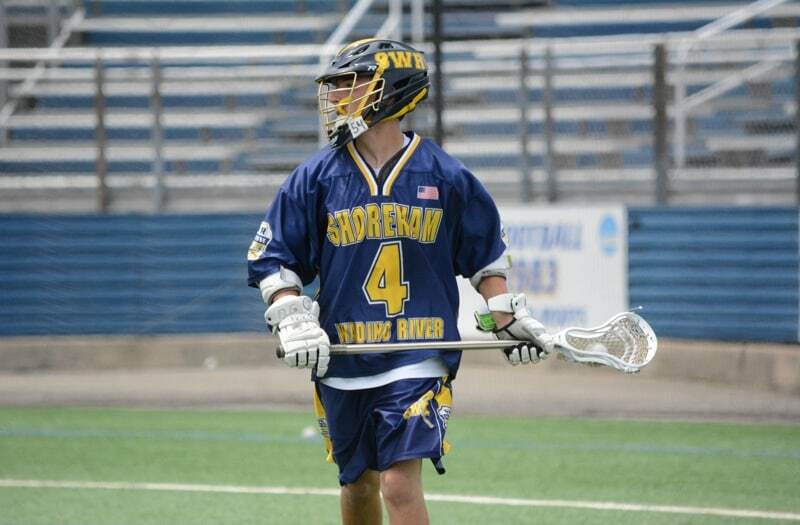 141 Tim Rotanz Shoreham-Wading River 2013 64 77 #DIV/0! 141 Forest Sonnenfeldt Fieldston 2009 95 46 #DIV/0! 141 Tim Nelson Yorktown 1980 90 #DIV/0! 140 Joe Slavik Seton Catholic Central 2010 #DIV/0! 140 Thomas Engelke Sewanhaka 1983 41 99 #DIV/0! 137 Paul Basile Garden City 1985 41 96 #DIV/0! 136 Kevin Rice Skaneateles 2011 70 66 #DIV/0! 136 Eamon McEneaney Sewanhaka 1972 53 83 #DIV/0! 135 Dean Gibbons Garden City 2006 101 34 #DIV/0! 133 Casey Powell So. Carthage 1992 68 65 #DIV/0! 133 Thomas Engelke Sewanhaka 1981 33 100 #DIV/0! 133 Mickey Cavuoti Garden City 1987 41 92 #DIV/0! 130 Owen Hill Jr. Akron 2017 61 69 #DIV/0! 130 Bob Boniello Levittown Division 1975 38 92 #DIV/0! 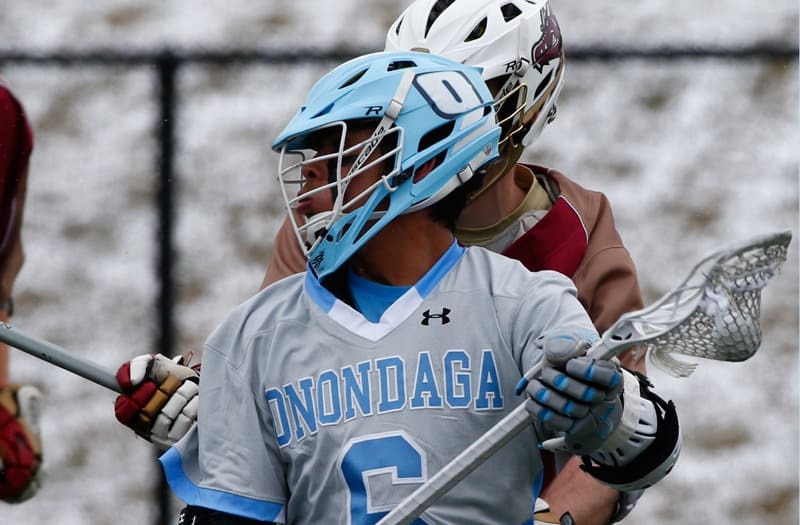 129 Connor Cazzizzaro Cazenovia 2013 89 40 #DIV/0! 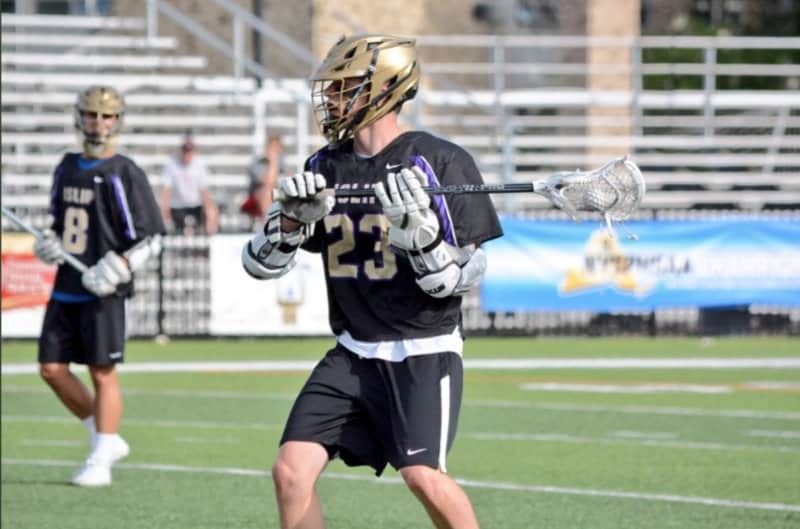 127 Ben McCreary Sr. Christian Brothers Academy 2017 78 49 #DIV/0! 127 Alex Calkins Sr. Christian Brothers Academy 2017 77 50 #DIV/0! 125 Matt Panetta Elmont 1987 70 55 #DIV/0! 124 Bruce Chanenchuk Farmingdale 1983 56 68 #DIV/0! 124 Zach Reed Jr. Bath Haverling 2010 54 70 #DIV/0! 123 Sean Miller Garden City 1991 46 77 #DIV/0! 122 Brian Reda Sr. Pleasantville 2018 81 41 #DIV/0! 121 Griffin Cook Jr. Jamesville-DeWitt 2017 86 35 #DIV/0! 121 Dave Bayly Herricks 1969 61 60 #DIV/0! 120 Mike Fiorentino Sr. New Hartford 2018 66 54 #DIV/0! 120 Lyle Thompson Salmon River 2011 66 54 #DIV/0! 120 Pat Walsh Wantagh 2001 65 55 #DIV/0! 120 Vincent Marinelli Elmont 1986 59 61 #DIV/0! 120 John Scorcia Sewanhaka 1981 87 33 #DIV/0! 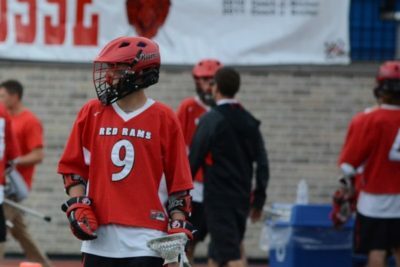 119 Devin Andrews Sr. Canandaigua 2017 72 47 #DIV/0! 119 Frank Tashman Sewanhaka 1981 60 59 #DIV/0! 118 Ben Austin Medina 2013 74 44 #DIV/0! 118 James Ford Hempstead 1976 64 54 #DIV/0! 118 Mickey Cavuoti Garden City 1986 34 84 #DIV/0! 117 John Krumenacker Farmingdale 1980 51 66 #DIV/0! 117 Andy Crofton Garden City 1991 56 61 #DIV/0! 116 Kevin Brennan Farmingdale 1999 62 54 #DIV/0! 116 Jack Heim Manhasset 1963 81 35 #DIV/0! 116 Dean Gibbons Garden City 2007 64 52 #DIV/0! 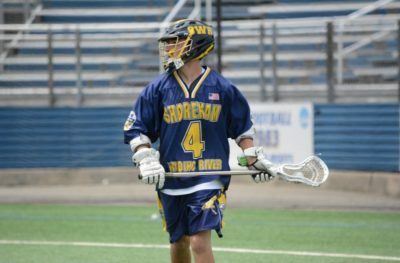 115 Chris Gray Shoreham-Wading River 2017 90 25 #DIV/0! 115 John Campbell Farmingdale 1983 56 59 #DIV/0! 115 Tim Worstell Garden City 1979 88 27 #DIV/0! 115 Thomas Grimm Sr. Carthage 2011 47 68 #DIV/0! 114 Connor DeSimone Sr. Smithtown East 2017 60 54 #DIV/0! 114 Lyle Thompson Lafayette Central 2009 60 54 #DIV/0! 114 Rudi George Salamanca 2007 76 38 #DIV/0! 114 Greg Brosokas Sewanhaka 1991 67 47 #DIV/0! 114 Mike Caravana Sewanhaka 1979 40 74 #DIV/0! 114 Rich Klein Elmont 1970 55 59 #DIV/0! 112 Dylan Donahue West Genesee 2011 40 #DIV/0! 112 Pat Walsh Wantagh 2002 #DIV/0! 112 Peter LeSueuer Garden City 2001 57 55 #DIV/0! 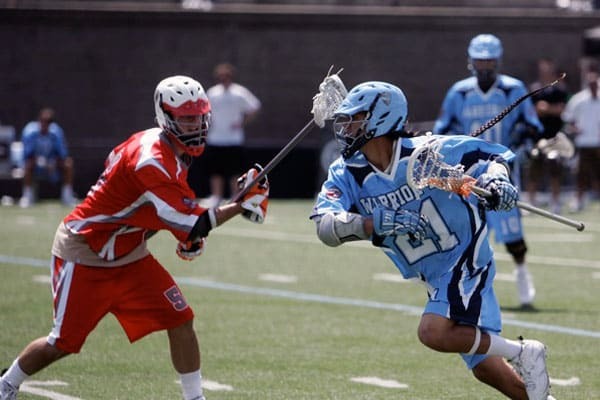 111 Lyle Thompson Lafayette Central 2010 64 47 #DIV/0! 111 Matt Danowski Farmingdale 2002 66 45 #DIV/0! 111 Bill Naslonski Farmingdale 1980 66 45 #DIV/0! 111 Tim Worstell Garden City 1979 23 88 #DIV/0! 110 Tim Rotanz Shoreham-Wading River 2011 68 42 #DIV/0! 110 Chris Massey Garden City 1994 68 42 #DIV/0! 109 Luke Rogers Sr. General Brown 2017 56 53 #DIV/0! 109 Kyle Barna Medina 2013 72 37 #DIV/0! 109 Steve Walakovits Bethpage 1984 53 59 #DIV/0! 109 John Poggio Bethpage 1980 57 52 #DIV/0! 108 Zach Reed Sr. Bath Haverling 2011 48 60 #DIV/0! 108 Sean Cannizzaro Cazenovia 2011 55 #DIV/0! 108 Mike Ferrucci Garden City 1994 48 60 #DIV/0! 108 Mike Ferrucci Garden City 1993 51 57 #DIV/0! 108 Billy Kurisko Nanuet 1986 108 0 #DIV/0! 108 Rich Graham Garden City 1976 38 70 #DIV/0! 108 Peter LeSueuer Garden City 2000 54 54 #DIV/0! 107 Ian Laviano Sr. 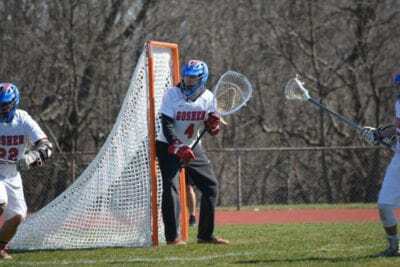 Cold Spring Harbor 2017 68 39 #DIV/0! 107 Jordan Evans So. Jamesville-DeWitt 2011 58 49 #DIV/0! 107 Steve Bettinger Lynbrook 1989 52 55 #DIV/0! 106 Brian Reda Jr. Pleasantville 2017 75 31 #DIV/0! 106 Lucas Quinn Sr. Niskayuna 2017 68 38 #DIV/0! 106 Connor Nelson Sr. New Hartford 2017 48 58 #DIV/0! 106 Ben Reeves Palmyra-Macedon 2011 60 #DIV/0! 106 Casey Donegan Corning East 1990 106 #DIV/0! 106 Nick Gagliardi Byram Hills 1982 106 0 #DIV/0! 106 Paul Hollis Garden City 1979 36 70 #DIV/0! 105 Lance Madonna So. East Syracuse Minoa 2018 70 35 #DIV/0! 105 John Danowski East Meadow 1972 38 67 #DIV/0! 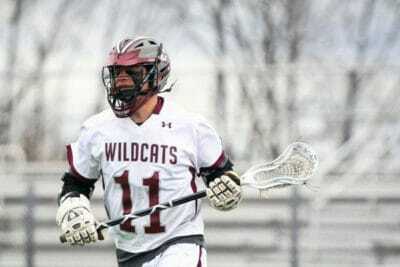 104 John Castellano Iona Prep 2011 50 #DIV/0! 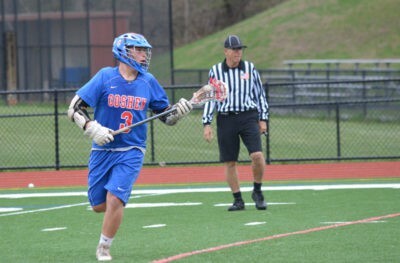 104 Jack Grass Bronxville 2011 #DIV/0! 104 Dennis Rogers Levittown Division 1972 64 40 #DIV/0! 103 Jake Gallina Jr. Palmyra-Macedon 2018 60 43 #DIV/0! 103 Mike Fiorentino Jr. New Hartford 2017 63 40 #DIV/0! 103 Matt Behrens Bronxville 2013 62 41 #DIV/0! 103 Bill Scharr Canandaigua Academy 1986 103 #DIV/0! 103 Bob DeSimone Plainview 1972 64 39 #DIV/0! 102 John Sidorski East Islip 2018 45 57 #DIV/0! 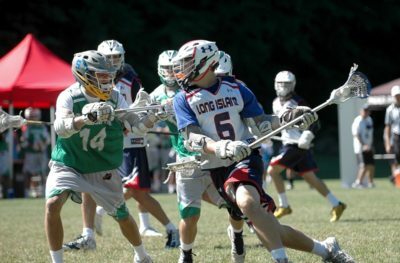 102 Declan McDermott Pleasantville 2018 55 47 #DIV/0! 102 Dom Delvecchio Sr. Bishop Ludden 2017 41 61 #DIV/0! 102 Justin Guterding Garden City 2013 56 46 #DIV/0! 102 Zed Williams 8th Silver Creek 2009 74 28 #DIV/0! 102 Jeff Cohen Syosset 2007 83 19 #DIV/0! 102 Sean Dougherty Garden City 1984 46 56 #DIV/0! 102 Eugene Curran Garden City 1991 70 32 #DIV/0! 101 Chris Massey Garden City 1993 63 38 #DIV/0! 101 Brandon James Hempstead 1983 61 40 #DIV/0! 101 Rob Falk Garden City 1988 58 43 #DIV/0! 100 Griffin Cook Sr. Jamesville-DeWitt 2018 54 46 #DIV/0! 100 Henry Grass Bronxville 2013 60 40 #DIV/0! 100 Tom Tierney Garden City 1981 51 49 #DIV/0! 100 Grant Catalino Sr. Webster Schroeder 2007 65 35 #DIV/0! 99 Xavier Arline Shoreham-Wading River 2018 49 50 #DIV/0! 99 Bruce Corbridge Garden City 1963 20 99 #DIV/0! 98 Bryce Johnson Jr. General Brown 2018 40 58 #DIV/0! 98 Brennan O'Neill So. St. Anthony's 2018 64 34 #DIV/0! 97 Sean Cunningham Geneva 2011 #DIV/0! 97 Jason Coffman Carthage 1992 97 0 #DIV/0! 97 Pete Worstell Garden City 1975 83 14 #DIV/0! 96 Zach Baker So. Palmyra-Macedon 2018 40 56 #DIV/0! 96 PJ Clementi Harborfields 2018 57 39 #DIV/0! 96 Griffin Feiner Jamsville-DeWitt 2013 96 0 #DIV/0! 96 Dylan Yonts Penn Yan 2011 43 #DIV/0! 96 Jarett Park Christian Brothers 2001 96 0 #DIV/0! 96 Dean Gibbons Garden City 2005 71 25 #DIV/0! 95 Ben Andreycak Fordham Prep 2011 #DIV/0! 95 Danny Nesel Red Hook 2009 95 0 #DIV/0! 95 James Synowiez Oswego Free Academy 2006 95 0 #DIV/0! 95 Peter LeSueuer Garden City 1999 45 50 #DIV/0! 94 Brett Cunningham Sr. Gananda 2018 64 30 #DIV/0! 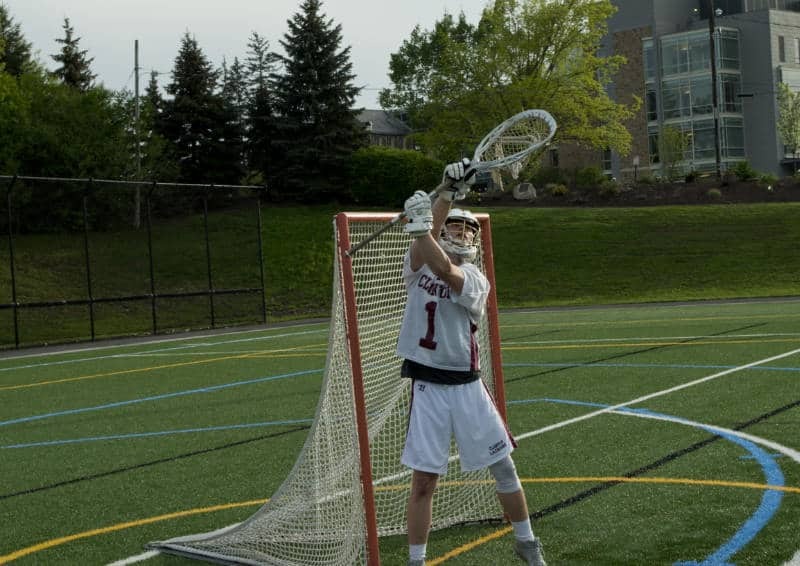 94 Michael Doxie Sr. Niskayuna 2017 51 43 #DIV/0! 94 George Wichelns Connetquot 2017 50 44 #DIV/0! 94 James Avanzato Sachem North 2017 47 47 #DIV/0! 94 John Sidorski East Islip 2017 37 57 #DIV/0! 94 Devin Dwyer Garden City 2011 61 #DIV/0! 94 Sal Tuttle Farmingdale 2011 57 #DIV/0! 94 Robert McCabe Midwood 2007 94 0 #DIV/0! 94 Rob Betchley Yorktown 1983 94 0 #DIV/0! 94 Dan Flannery Garden City 2001 46 48 #DIV/0! 93 Ryan Desimone Smithtown East 2011 45 48 #DIV/0! 93 Jake Riley Sr. Homer 2017 49 44 #DIV/0! 93 Brendan Nichtern Massapequa 2017 48 45 #DIV/0! 93 Charlie McCormick Bronxville 2011 80 13 #DIV/0! 92 Kellen Pulera Jr. St. Joseph's Collegiate 2018 63 29 #DIV/0! 92 Dante Yacavone Jr. Homer 2017 59 33 #DIV/0! 92 Pat Hackler So. Skaneateles 2017 64 28 #DIV/0! 92 Donovan Welsh Sr. Fayetteville-Manlius 2017 53 39 #DIV/0! 92 Reggie Buell Sr. Skaneateles 2017 45 47 #DIV/0! 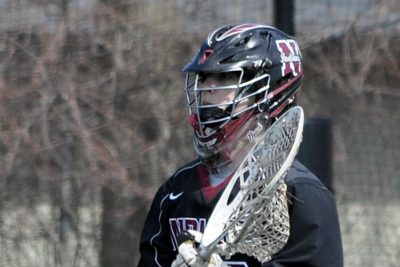 92 Brendan O'Sullivan Nyack 2017 56 36 #DIV/0! 92 Mickey Cavouti Garden City 1987 92 #DIV/0! 91 Connor Cupp Sr. Bath 2018 66 25 #DIV/0! 91 Brett Randall Sr. Brighton 2017 65 26 #DIV/0! 91 Sean Lulley Half Hollow Hills East 2017 51 40 #DIV/0! 91 Rich Graham Garden City 1975 31 60 #DIV/0! 91 Rob Engelke Garden City 2006 28 63 #DIV/0! 91 Craig Dowd Sr. Northport 2006 32 59 #DIV/0! 90 Jack Cheney So. Shaker 2017 61 29 #DIV/0! 90 Jack Walsh Miller Place 2017 26 64 #DIV/0! 90 Paul Carcaterra Yorktown 1993 90 0 #DIV/0! 90 Peter Hollis Garden City 1973 34 56 #DIV/0! 90 Scott Hiller Garden City 1985 84 6 #DIV/0! 90 Dan Flannery Garden City 2002 30 60 #DIV/0! 89 Matt Licciardi Cold Spring Harbor 2017 24 65 #DIV/0! 88 Max Motschwiler Jericho 2004 88 0 #DIV/0! 88 Bob Engelke Sewanhaka 1975 88 #DIV/0! 88 Russ Bankes Garden City 1966 24 64 #DIV/0! 88 Matt Heaney Garden City 1989 25 63 #DIV/0! 88 Tucker Nelson Pennfield 2010 23 65 #DIV/0! 85 Dan Flannery Garden City 2000 40 45 #DIV/0! 85 Luke Piroli So. Carthage 2017 31 54 #DIV/0! 84 Mickey Cavouti Garden City 1986 84 #DIV/0! 84 Scott Hiller Garden City 1985 84 0 #DIV/0! 84 Tim Hay Garden City 2005 42 42 #DIV/0! 83 Peter Worstell Garden City 1975 83 0 #DIV/0! 83 Tom Tierney Garden City 1980 41 42 #DIV/0! 83 Ian Evans Jr. LaFayette 2017 37 46 #DIV/0! 82 Ralph Bankes Garden City 1962 30 52 #DIV/0! 81 Jonathan Engelke Farmingdale 2003 81 0 #DIV/0! 81 Jim Howell East Meadow 2017 37 44 #DIV/0! 80 Jack Rooney Jr. St. Dominic 2018 40 40 #DIV/0! 79 Peter Fiorini III Jr. Baldwinsville 2017 29 50 #DIV/0! 77 Sean Miller Garden City 1991 77 #DIV/0! 77 Chris Hein Elmont 1983 77 0 #DIV/0! 76 Matt Eccles Sr. Corcoran 2017 31 45 #DIV/0! 76 Steve Tomaselli Elmont 1984 76 0 #DIV/0! 75 Doug Honig Manhasset 1966 75 #DIV/0! 74 Cam Mule Half Hollow Hills West 2017 34 40 #DIV/0! 74 Jason Doneger Lynbrook 1999 74 0 #DIV/0! 73 Terry Riordan Baldwin 1991 73 0 #DIV/0! 73 Fran McAleavey Sewanhaka 1973 73 0 #DIV/0! 73 Xavier Arline Shoreham-Wading River 2017 30 73 #DIV/0! 72 Rob Staugaitis Farmingdale 1978 72 #DIV/0! 71 Jonathan Engelke Farmingdale 2002 71 0 #DIV/0! 71 Jim Naslonski Farmingdale 1988 71 0 #DIV/0! 71 Pat Husted Sewanhaka 1983 71 0 #DIV/0! 71 J.J. Nullet Freeport 1980 71 0 #DIV/0! 70 Michael Smith Croton-Harmon 2013 70 0 #DIV/0! 70 Eugene Curran Garden City 1991 70 0 #DIV/0! 70 Rich Garguilo Farmingdale 1991 70 0 #DIV/0! 70 Jimmy Lewis Uniondale 1962 70 #DIV/0! 69 Chris Sullivan Garden City 1987 28 41 #DIV/0! 65 Kevin Lowe Mineola 1989 65 #DIV/0! 65 Danny Woska Herricks 2017 17 48 #DIV/0! 64 Matt Heaney Garden City 1988 19 45 #DIV/0! 58 Dan Sherry Croton-Harmon 2013 58 #DIV/0! 58 Chris Hughes Oceanside 2011 58 #DIV/0! 50 George Corde North Salem 2013 50 #DIV/0! 47 Clifton Jackson Amherst Central 2011 47 #DIV/0! 46 Kurt Minges Brighton 2011 46 #DIV/0! 45 Ryan Curley Eastport-South Manor 2011 45 #DIV/0! 44 Peter Gryga Queensbury 2011 44 #DIV/0! 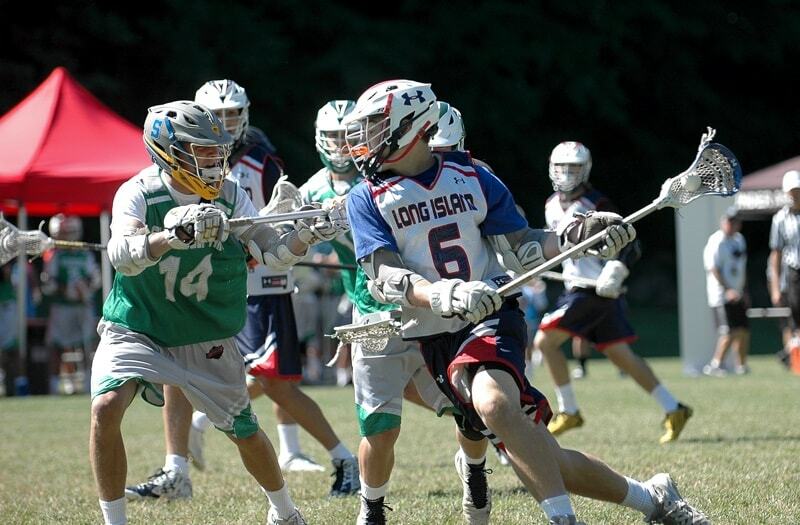 43 Drew Federico West Islip 2011 43 #DIV/0! 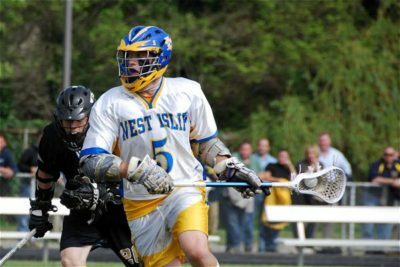 40 Nick Doktor Irondequoit 2011 40 #DIV/0! 2000 Ward Melville Joe Cuozzo Garden City Steve Finnell Lynbrook ??? 1999 Ward Melville Joe Cuozzo Lynbrook ??? 1998 West Genesee Mike Messere Comsewogue ??? 1995 West Genesee Mike Messere Manhasset ??? 1993 Sachem Rick Mercurio Yorktown ??? 1992 Ward Melville Joe Cuozzo Yorktown ??? 1991 West Genesee Mike Messere Yorktown ??? 1990 West Genesee Mike Messere Corning East ??? 1989 Ward Melville Joe Cuozzo Yorktown ??? 1988 Ward Melville Joe Cuozzo Cortland ??? 1987 West Genesee Mike Messere Elmont ?? ?